SC 1/c T.J. Burns, son of Mrs. Lela Burns, attended school on Lawton and Marlow; husband of the former Alma Lou Watson. 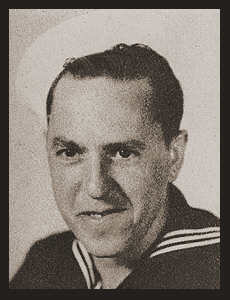 Entered the Navy in Feb. 1944, Trained in Farrugut, Idaho; served in S.W. Pacific, Hawaii, the Marshalls, the Gilberts, Luzon. Awarded Asiatic Pacific Ribbon.